Ok – So tell me who will be tweeting, posting on Facebook and Linkedin at 10.00am? The truth is social media is somewhat of a game. You post something or go on to a particular platform and hope you can connect with some of the best people who might happen to be online at that particular time. Then reality sets in and you learn how people use social media. Some people engage every hour of the day. My advice to you is the following. It is ok if you do not see your clients online the same time you are online. The best thing you can do is log-on throughout the day and show you are a real person or company representative and that you stay in tuned with what is happening online, especially if your name or company name is mentioned. Other advice – use social media to promote and communicate your story online. 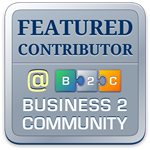 Link to stories on your blog site or talk about special promotions at your company. Highlight clients who you know who are active on particular social media sites. Also, use a tool like hootsuite, tweetdeck, google alerts or google analytics to help you see what content is being recommunicated or what content is drawing them to your site. Let others try to make connections in real time and see how much success they have. Take my advice, be smart and monitor periodically. You will save yourself a lot of headaches and frustration. Search social media sites and reply to something that was said a few days ago. I do this all the time. In addition, get into a habit of using hashtags. It really helps drive your message to a particular group of people interested in your content. Again, social media is real engagement in real time, (sort of). The best thing to do is treat it as another channel and carefully monitor and engage on your own time to insure you are not wasting your time.